The commercial, which aired last week during Game 7 of the 2013 NBA Finals, shows Legend struggling for songwriting inspiration, only to find it behind the wheel of a 2014 Impala. The commercial draws in part from Legend’s own automobile history: his first car was a Chevy, and he is an active supporter of the United States automobile industry. A longtime Chevrolet dealer, Bradshaw Chevrolet Buick GMC Cadillac is happy to see the manufacturer’s ongoing success and support from the entertainment community. To view the 2014 Chevrolet cars currently available in Upstate South Carolina, including the all-new Impala and Silverado, visit our dealership online! We also maintain a wide inventory of certified pre-owned GM cars and used cars in other makes and models. For more information, follow Bradshaw Automotive on Facebook and Google+! This week, five Chevrolet cars were named segment winners for the annual J.D. Power and Associates Initial Quality Study, making Chevrolet the automaker with the most cars at the top of their sections in the study. The J.D. Power and Associates Initial Quality Study examines the average number of problems per car that users experience in the first 90 days following the purchase of a vehicle. According to J.D. Power, a majority of the problems experienced in this time frame relate to a vehicle’s design and technology; for example, users could find a navigation system or safety technology confusing or difficult to use. The study is designed to award the cars with the most user-friendly technologies for each vehicle class and to provide feedback to the automobile industry. 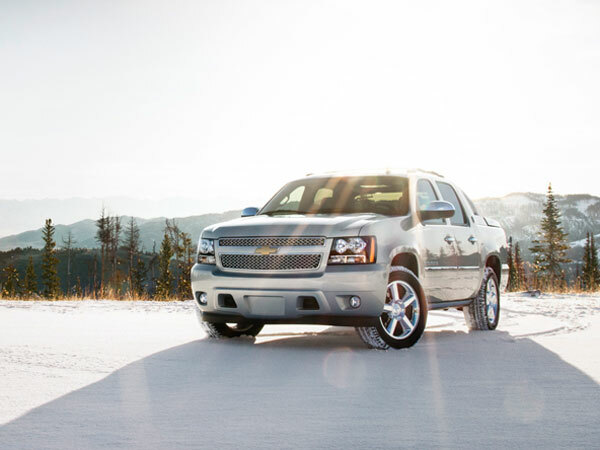 This year, five 2013 Chevrolet vehicles were named for having the least reported problems in their segments: the Avalanche (Large Light-Duty Pickup), Camaro (Midsize Sporty Car), Impala (Large Car), Silverado HD (Large Heavy Duty Pickup) and Tahoe (Large CUV). The Cadillac Escalade was also names the top Premium CUV, beating out the Mercedes-Benz GL-Class, and the new Buick Encore and GMC Sierra 1500 each topped its respective category. The volume of GM cars include in the Initial Quality Report demonstrates the automaker’s devotion to reliable, user-friendly cars. For more information about the report, visit J.D. Power and Associates online. Bradshaw Chevrolet Buick GMC Cadillac is proud to announce yet another achievement for GM vehicles. For more information about new Chevrolet cars in Upstate SC, including the 2013 Camaro and the all new 2014 Impala and Malibu, contact Bradshaw at (864) 416-7397 or visit our dealership online. We also boast an expert finance department to help you find the vehicle you’re looking for at the right price! Chevrolet recently revealed the design and specs for the all-new 2014 Malibu midsize sedan. Bradshaw Chevrolet Buick GMC Cadillac eagerly anticipates the release of the 2014 Malibu this fall! The 2014 Malibu builds upon the foundation set by the impressive 2013 sedan, adding subtle changes like roomier rear passenger seats and an updated front that draws influence from the 2014 Chevrolet Impala. The Malibu also comes standard with a new 2.5 liter engine for 2014, adding a fuel-saving start/stop feature and improving the car’s torque. Other updates for the new Malibu include a redesigned center console and optional safety technologies like Side Blind Zone Alert and Rear Cross Traffic Alert. 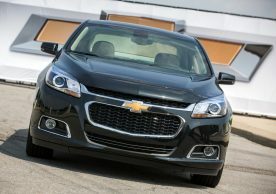 For more information on the all-new 2014 Chevrolet Malibu, read the original Chevrolet news release. Bradshaw Chevrolet Buick GMC Cadillac looks forward to the release of the 2014 Malibu, along with other great GM models, later this year. To find new Chevrolet cars currently available in Upstate South Carolina, including the all-new 2014 Chevrolet Impala, visit our dealership online! We also offer an expert service department to assist you with everything from routine service to detailed repairs. 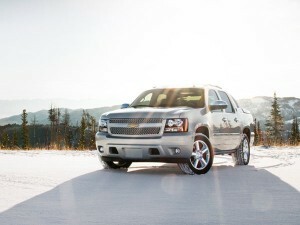 For more Chevrolet news and information on dealership events, be sure to follow Bradshaw on Twitter and Facebook! This week, GM announced that it will include RemoteLink Key Fob Services as a standard feature for all 2014 Chevrolet, Buick, GMC and Cadillac vehicles. The RemoteLink Key Fob is a smartphone app that allows drivers to activate certain vehicle functions, including the engine, horn, lights and doors, from a remote location. Drivers who use the service will also be able to check vital stats, such as fuel range, oil life and tire pressure, without physically being in the vehicle. The service, which will come standard on thirty-six GM vehicles, will be free for all drivers for 5 years and will be downloadable immediately following the purchase of a 2014 GM car. “Our vehicles are getting more connected, and so are we. As mobile devices become a bigger part of our lives, GM understands the importance of providing our customers the ability to use these devices as part of their vehicle experience,” said Mary Chan, a Toyota spokesperson. Brashaw Chevrolet Buick GMC Cadillac is excited to announce this great new service from GM. To learn more about the RemoteLink Key Fob, or to test drive a brand new 2014 car in Greer, SC contact Bradshaw or visit our website at www.BradshawGreer.com. Also, don’t forget to follow our dealership on Twitter and Google+!